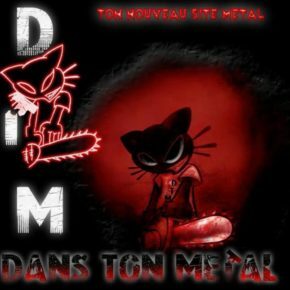 Hello Morten Veland, Thank you for accepting to answer a few questions for dans ton metal. Can you introduce yourself for our readers? Morten: Yes, my name is Morten, I am a guitar player, singer, composer in the band Sirenia. You formed Sirenia in 2001 ? Morten: That’s correct. Immediately after, I parted ways with my former band, so I went straight on with putting together a new band. Sirenia is my main priority since January 2001. Morten: For me it was just a natural thing to continue music, even if I parted ways with my previous band. Because music is such an important part of my life. I immediately started thinking forward, making plans for a new band, continuing what I really love to do. Yes, it’s a really important part of my life. So it was natural for me to continue. What was your inspiration for the name of the band? Morten: It was inspired by Greek mythology, I have always been fascinated and interested in mythology, classic mythology, especially Northern and Greek mythology that I find really interesting. Eileen joined the band as a new singer in 2008. Can you tell me about the meeting and the choice you made? Morten: Back then, we used a lot of time to choose a singer. We had a lot of auditions and so on, it took a lot of time and in the end, I think we had three different candidates that we invited for extra auditions after the first round of auditions. In the end, the choice was Eileen who stayed with us for 8 and a half years, or something like that. Your eighth album will soon be released. I listened to it and I find the vocal part very lyrical and opera like. It has guts and symphonies, like Young and braves. What was the idea for this new album? Morten: I think the idea was just to take everything one step further. You know, with each album, I try to improve myself as a song writer and try to bring some new elements into Sirenia’s music. 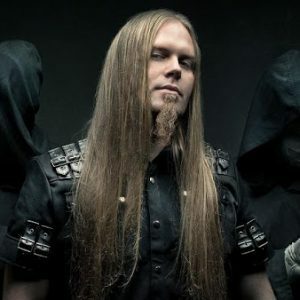 At the same time, I think it’s important to keep the band sound like Sirenia, I don’t want to experiment too much, or change our sound too much. It’s quite important to keep that balance, and… You know, it’s also working carefully, choosing partners to cooperate with. This time we tried to work with a different mixing engineer, we mixed and master the album in Denmark, with the producer Jacob Hansen. It’s the first time that we work together and I think he did a fantastic job for Sirenia and he really helped us achieving the kind of sound that we are looking for. Naturally of course Emmanuelle coming into the band, I think she helped us taking everything to the next level, I think she did an amazing job recording the vocals and also had a very short period of time learning the songs and everything. She did a great job and we are very happy with the way that it turned out in the end. What does this new album represent for you and the band members? Morten: It’s always… It’s our latest album, so it’s the album that represents us most, what we are today. It’s the album I’m the most connected to, right now. That is kind of a cool and fascinating part of music. When I look back at the albums I’ve done in the past, they’re all a bit different and all of them represent us as a band, and me, as a song writer. It’s also cool to look back sometimes and see how it has changed from the very beginning until now. We can see what periods of my life I was more focused on this type of music or that type. I think it goes for every band… It’s also interesting for me to see how other band had evolved. Could you describe the recording process? How did you think about a lyrical and symphonic album? Morten: The process… We did a few changes compared to before but a lot of it is pretty much the same. Most of the material was recorded in my own studios, where I also do most of the composing. As we usually do, we recorded some parts in France, in Marseille, with a producer, a good friend of mine whom I’ve known for over 20 years. We recorded some parts of every Sirenia albums with him… as I mentioned before, what we did a bit different this time was mixing and mastering in Denmark this time. As I said, I think he also did a very good job helping us making a very good sound on the album. Of course it’s important having a good sound on the album. The biggest change this time was changing studios, and of course, having Emmanuelle with us, as a lead singer for Sirenia. That was also exciting, and a new experience for the band. How did the fans who follow you since the beginning react to the changes of singers since the band exists? Morten: You know, we have changed singers sometimes over the years, and changing a singer can be very difficult. In my opinion, the singer can be a very important part of the band, maybe the most important because anybody who listens to the music will listen to the voice and relate to the voice. When an album comes out, and there is a new voice, sometimes it can be a bit difficult for some people. You’ll always have some people who will like the change and some people who are not so happy about it. It’s hard, it’s a part of the game… Unfortunately, there are times when it’s not possible to continue with a band member and then you don’t really have the choice: you either have to find a new band member or you quit the band. 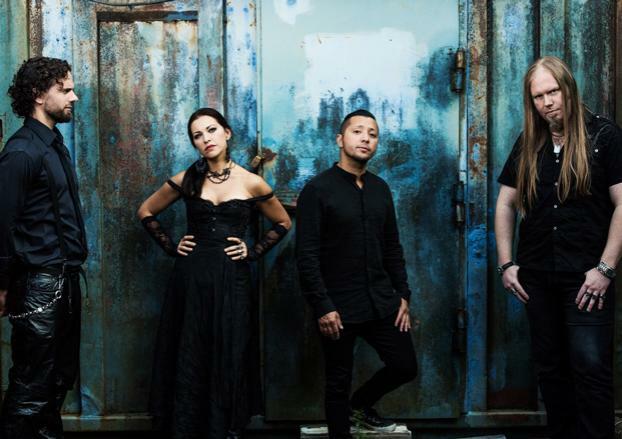 We were talking about it (with the other musicians) and we decided it was too early to end Sirenia because we still think we have a lot of things to give and we still really enjoy playing music, making concerts… We thought it was right to continue, give it one more try. We found our new singer and are really happy with the situation. I really think that the fans, one day, when the album is out, well… They can listen to it for a while, get used to our new sound… I think most of the people will like our new album because it’s very good. I hope that the people will give a chance at least. Death, despair and solitude are topics quite often present in your albums. What does it mean to you? Morten: For me, it’s something that comes naturally to write about. It’s topics that most people can relate too, at some point in their life. When I make songs, I always compose songs, I always compose the music first and I write the lyrics afterwards. When I start writing the lyrics, I try to feel out the atmosphere of the song and write words that are more or less describing the feeling of the music. Very often, I end up writing about subjects like these. Every now and then, I try to bring something new, tell about some other subjects. I have been writing a few songs about the Northern mythology, something I haven’t done before, so I try to bring some new things. But after 100 songs, it’s difficult to find new things to write about, but I try to at least do it in a different way, refresh it. I noticed your guitar style is quite impressive as well as your soli. What is your source of energy and what is your musical inspiration? The album will be released on November 11th. How do you feel with this date approaching? Morten: It’s always exciting. Every time you release a new album, it’s always interesting to see what people think. We will go on tour on Thursday, so I’m looking forward to playing the new songs… We have done some rehearsals lately and I really enjoy playing the new songs live. Right now, I’m looking forward to the tour and seeing how the fans will react after listening to the album a couple of times. What were the most and least important moments in the band? Morten: What would that be? That’s a difficult question to answer… There have been a lot of positive things in the career, playing on big festivals for example. It’s always something very impressive, very nice, to make a concert in front of a lot of people… And meeting a lot of artists that maybe I was a big fan of when I was a teenager. Festivals over the summer in Europe over the years, and that has been great experiences for the band. Of course, there have been some less cool experiences for the band. There has been a few over the years, a few festivals (NdMP: incomprehensible), and I think it’s very frustrating. Even though it’s not the band’s fault, most of the time it feels like disappointing the fans in a way and it’s always a very bad feeling when things like that happen. There have been a few experiences like that but hopefully, there’s been many good experiences over the years. Do you plan on touring in the next 2 years and if so, will we get a chance to see you in France? Morten: I think so. There were plans I think for a show in Paris. I’m not sure why that didn’t happen but there are good chances for next year, 2017, that we would come back to France. We will make a new tour and also play some festivals. Especially now that we have a French singer, it makes more sense to play France… We played a few concerts in France in the past and I remember it was good experiences. So positively it will be for next year. Could you tell me an interesting fact on tour or recording with the band? Morten: What would that be? I get that question sometimes and I always forget… There are things I am not allowed to say, also, I have to watch out a bit… I don’t wanna step on any feet… I remember one time, we were playing in Belgium, I think, at the Grasspop festival. It was 2005 or 2007 I think… Ozzy Osbourne played there, a lot of our favorite bands like Iron Maiden. You know, it’s always very strange when you are backstage, having a beer and you have one of the guys like Steve Harris, Zakk Wylde – Ozzy Osbourne’s guitar player – standing next to you and having a little chat with these people who were my heroes when I was young… There has been some of those experiences over the years, they feel a bit surreal, very cool and inspiring. Having more success or selling more albums, moments like that you will really remember for the rest of your life. The interview is coming to an end. Have you got a last message for the fans? Morten: I would just like to say Cheers to our fans, and I hope you will like our new album. And I also hope Sirenia will be back in France for some concerts. Bonjour Morten Veland, Merci d’accepter de répondre à quelques questions pour Dans Ton Metal. Peux-tu te présenter pour nos lecteurs ? Morten: oui, je m’apppelle Morten, je suis guitariste, chanteur et compositeur au sein de Sirenia. Tu as formé Sirenia en 2001 ? Morten: C’est exact. Juste après avoir quitté mon groupe originel, j’ai immédiatement monté mon propre groupe. Sirenia est depuis janvier 2001 ma priorité absolue. D’où t’es venue cette idée? Morten: Pour moi, c’était une chose naturelle de continuer dans la musique, même si j’avais quitté mon groupe précédent. Parce que la musique a une telle importance dans ma vie. Je suis immédiatement allé de l’avant, monté des plans pour fonder un nouveau groupe, et continuer ce que j’aime vraiment faire. Oui, c’est si important dans ma vie. Alors ce fut assez naturel de continuer. Qu’est-ce qui t’a inspiré le nom du groupe? Morten: Il fut inspire par la mythologie grecque, j’ai toujours été attiré et passionné par la mythologie, principalement nordique et grecque que je trouve très intéressantes. Eileen a rejoint le groupe au chant en 2008. Peux-tu me raconter votre rencontre et le choix que tu as fait ? Morten: À cette époque, nous prenions beaucoup de temps pour choisir un chanteur. Il y avait des auditions, etc… Ca demandait du temps et, au final, je crois qu’il restait trois candidats que nous avons invités pour de nouvelles auditions. Il en a résulté que nous avons retenu Eileen qui est restée avec nous pendant environ 8 ans ½.
Votre huitième album va bientôt paraître. Je l’ai écouté et la partie vocale est très lyrique et opératique. Il y a des tripes et de la symphonie, comme sur Young and Braves. Quelles ont été tes idées pour ce nouvel album ? Morten: Je crois que l’idée principale était de faire un pas de plus en avant. Tu sais, à chaque album j’essais de m’améliorer en tant que compositeur et je tente d’amener de nouveaux éléments à la musique de Sirenia. En même temps, je crois qu’il est important que le groupe sonne toujours comme du Sirenia, je ne veux pas trop expérimenter ou trop changer notre son. C’est assez important de conserver cet équilibre et… Tu sais, il s’agit aussi de travailler consciencieusement, de choisir les partenaires avec qui on va collaborer. Cette fois-ci, nous avons décidé de travailler avec un autre ingénieur pour le mixage, nous avons mixé et masterisé l’album au Danemark, avec le producteur Jacob Hansen. C’est notre première collaboration et je pense qu’il a fait un travail fantastique avec Sirenia, il nous a vraiment aidé à trouver le son que nous cherchions. Naturellement, Emmanuelle a intégré le groupe et elle nous a vraiment aidés à aller plus loin. Je crois qu’elle a fait un travail vocal extraordinaire alors qu’elle n’avait qu’un temps très limité pour apprendre les chansons et le reste. Elle a fait un super travail et nous sommes ravis du résultat final. Que représente ce nouvel album pour toi et les membres du groupe ? Morten: C’est toujours… C’est notre dernier album, alors il s’agit de celui qui nous représente le plus aujourd’hui. C’est celui qui m’est aujourd’hui avec lequel je suis le plus proche. C’est un des aspects cools et fascinants de la musique. Quand je repense aux albums que j’ai pu réaliser, je les trouve tous différents et chacun nous représente en tant que groupe, et me représente en tant que compositeur. C’est assez cool de regarder en arrière et de constater ce qui a pu changer depuis les débuts. On peut se rendre compte à quelle période de ma vie j’étais plus branché sur tel ou tel type de musique. je pense que c’est le cas pour tous les groupes. .. C’est intéressant de voir comme chacun évolue. Comment s’est déroulé l’enregistrement ? Comment as-tu envisagé un album lyrique et symphonique ? Morten: L’enregistrement… Nous avons apporté quelques changements par rapport à avant, mais dans l’ensemble, ce fut assez similaire. La plupart du matériel a été enregistré dans mes studios, où je fait le plus gros de la composition. Comme nous le faisons régulièrement, une partie a été enregistrée en France, à Marseille avec un producteur qui est un bon ami et que je connais depuis plus de 20 ans. Nous avons enregistré quelques albums de Sirenia avec lui. Comme je l’ai dit, une des choses que nous avons faites différemment a été de mixer et masteriser l’album au Danemark. Il a vraiment fait du bon boulot pour nous aider à obtenir un bon son sur cet album. Il est évidemment important d’avoir un bon son sur un disque. Le plus gros changement, cette fois, a été de changer de studio et, bien sûr, d’avoir Emmanuelle avec nous, en tant que chanteuse lead de Sirenia. Ça a vraiment été une expérience excitante pour le groupe. Comment les fans qui vous suivent depuis les débuts réagissent-ils aux changements de chanteurs ? Morten : Tu sais, on a changé de chanteurs plusieurs fois au fil du temps, et changer de chanteur peut s’avérer très délicat. Selon moi, le chanteur peut être une part capitale de la vie d’un groupe, sans doute la partie principale parce que quiconque écoute la musique écoutera aussi la voix et s’y référera. Lorsqu’un album sort, avec une nouvelle voix, cela peut être assez difficile pour certaines personnes. Tu trouveras toujours des gens que le changement satisfaits et d’autres qui n’en sont pas heureux. C’est difficile, mais ça fait partie du jeu… Malheureusement, il y a des moments où tu ne peux pas continuer avec l’un des membres du groupe et tu n’as pas vraiment le choix : soit tu trouves un remplaçant, soit tu quittes le groupe. Nous en parlions (avec les autres musiciens) et avons décidé qu’il était trop tôt pour mettre un terme à Sirenia parce que nous avons encore beaucoup à donner et avons toujours plaisir à jouer de la musique, donner des concerts… Nous avons pensé qu’il serait juste de continuer, nous donner encore une chance. Nous avons trouvé notre nouveau chanteur et sommes vraiment heureux de la situation. Je crois vraiment que les fans, un jour, lorsque cet album sera sorti… Ils pourront l’écouter à loisir, s’habituer à notre nouveau son… Je pense que la plupart des gens aimeront cet album parce qu’il est très bon. Au moins, j’espère que les gens lui donneront sa chance. La mort, le désespoir et la solitude sont des thèmes qui reviennent souvent dans tes albums. Que représentent-ils pour toi ? Morten: Ce sont des thèmes sur lesquels j’écris naturellement. Des thèmes auxquels la plupart des gens peuvent se référer, à un moment ou un autre de leur vie. Lorsque je crée des chansons, quand je compose la chanson, je commence toujours par la musique et les paroles viennent ensuite. Lorsque je commence à écrire les textes, j’essaie de ressentir l’atmosphère de la chanson pour trouver des mots qui puissent plus ou moins exprimer la sensation musicale. Très souvent, je finis par écrire autour de ces thèmes. De temps à autres, je tente d’apporter quelque chose de neuf, parler d’autres sujets. J’ai écrit quelques chansons sur la mythologie nordique, une chose que je n’avais pas faite auparavant, alors j’essaie d’apporter du nouveau. Mais après 100 chansons, c’est difficile de trouver de nouveaux sujets à traiter, alors au moins, je le fais différemment, je les rafraîchis. J’ai remarqué que ton jeu de guitare est assez impressionnants, tout comme tes soli. Où puises-tu ton énergie et quelle est ton inspiration musicale ? l’album va sortir le 11 novembre (2016, NdT). Comment te sens-tu à l’approche de cette date ? Morten: C’est toujours excitant. Chaque fois que tu sors un nouvel album, il est toujours intéressant de voir ce que les gens pensent. Nous partirons en tournée jeudi, et je suis impatient de jouer de nouveaux titres. Nous avons répété dernièrement et j’aime vraiment jouer ces nouveaux morceaux. Pour l’instant, j’attends cette tournée pour constater la réaction des fans une fois qu’ils auront écouté l’album une ou deux fois. Quels sont les moments les plus importants et les plus difficiles dans la vie du groupe ? Morten: Comment répondre à ça ? C’est une question difficile… il y a eu beaucoup de choses positives dans notre carrière, jouer sur de gros festivals, par exemple. C’est toujours sympa et impressionnant de jouer devant beaucoup de monde… Et de rencontrer beaucoup d’artistes dont j’étais peut être fan plus jeune. Les festivals européens en été au fil des années ont été une très bonne expérience pour le groupe. Bien sûr, il y a eu des expériences moins cool pour le groupe. Il y en a eu quelques-unes avec le temps, quelques festivals (ndmp : incompréhensible) at je trouve cela très frustrant. Même si ce n’est pas la faute du groupe la plupart du temps j’ai le sentiment de décevoir les fans et, en ce sens, ce n’est jamais agréable lorsque ça se produit. Il y a eu quelques histoires de ce genre, mais, heureusement, il y a eu de très nombreuses bonnes expériences au cours des années. Vous prévoyez de tourner dans les deux années qui viennent, et, si oui, aurons-nous une chance de vous voir en France ? Morten: Je pense que oui. Je crois qu’un show à Paris était prévu, je ne sais pas pour quelle raison ça ne s’est pas fait. Mais il y a de fortes chances pour que ce soit l’année prochaine, 2017, qui nous voit revenir en France. Nous allons organiser une tournée et jouer quelques festivals. Plus encore maintenant que nous avons une chanteuse française, c’est encore plus logique de jouer en France ! Nous avons déjà donné quelques concerts en France et je m’en souviens comme de bons moments. Donc, vraisemblablement, ce sera pour l’an prochain. Peux-tu me raconter une anecdote intéressante en tournée ou en studio avec le groupe ? Morten: Ce serait quoi ? on me pose la question parfois et j’oublie toujours… Il y a des choses que je ne suis pas autorisé à dire, aussi, il faut que je fasse un peu attention… Je ne veux marcher sur les pieds de personne… Je me souviens d’une fois, on jouait en Belgique, je crois, au Grasspop. En 2005 ou 2007, je crois… Ozzy Osbourne y jouait également, beaucoup de nos groupes préférés, Iron Maiden… Tu sais, c’est toujours très étrange quand tu es backstage, que tu bois une bière et que des gars comme Steve Harris, Zakk Wylde – le guitariste d’Ozzy Osbourne – se tiennent juste à côté de toi, de discuter un peu avec ces personnes qui étaient mes héros étant plus jeune… J’ai eu quelques expérience de ce genre, des moments un peu surréalistes, très cool et inspirant. Avoir plus de succès ou vendre plus d’album sont des moments qu’on n’oublie jamais. Notre interview touche à sa fin. As-tu un dernier message pour les fans ? Morten: Je veux juste saluer nos fans, et j’espère que vous apprécierez le nouvel album. 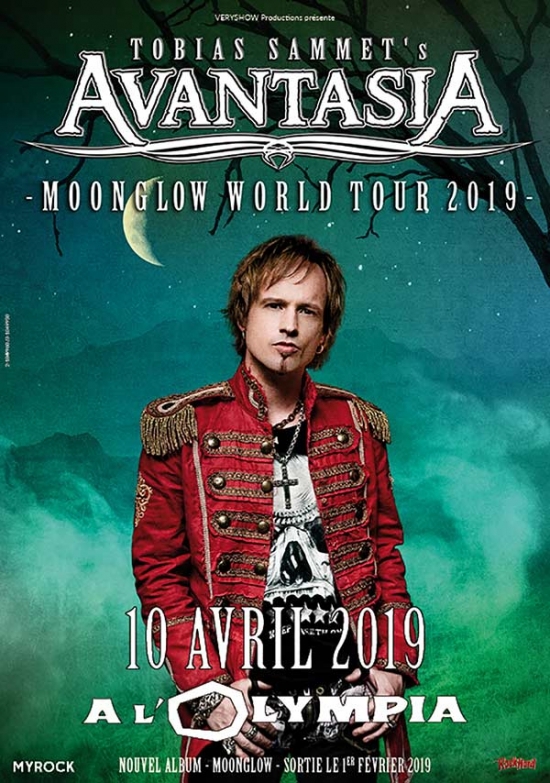 Aussi, j’espère que Sirenia sera de retour en France pour quelques concerts.